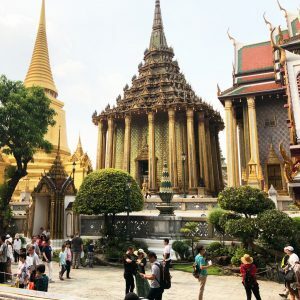 If there is one must-see sight that no visit to Bangkok would be complete without, it’s the spectacular Grand Palace, undoubtedly the city’s most famous landmark. It’s incredible architecture along with it’s famous Emerald and Reclining Buddhas have the magical ability to transport you back to 1782 when it was built. 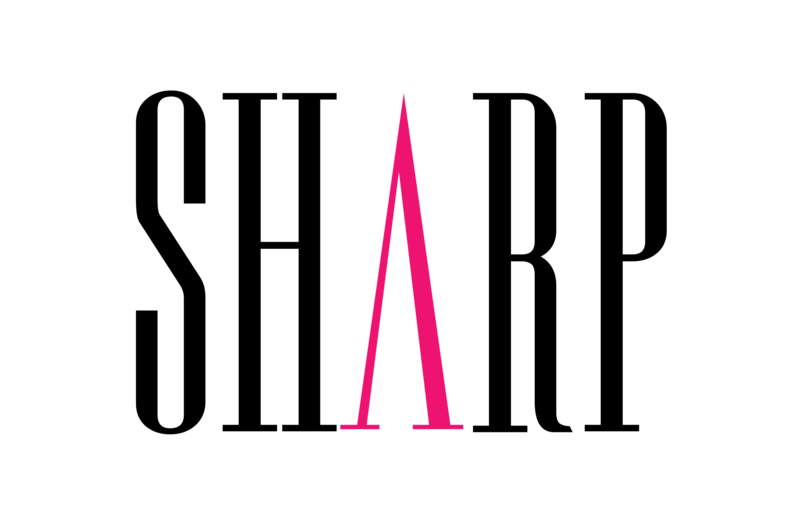 Make sure you wear long trousers and cover your shoulders as a mark of respect…you will be refused entry if you do not comply with the dress code. The best way to get there is to travel by orange flag express boat from Saphan Taksin pier to Wat Pho and the Grand Palace. If you are in BK over a weekend, don’t miss a shopping trip to SE Asia’s biggest market, Chatuchak (sometimes called JJ Market). Get lost in the endless stalls where you will find everything from souvenir stands to air conditioned galleries selling fine art. Look out for some of the incredible restaurants and cafes where you can grab a quick snack and a drink to chill out. Take the skytrain there but be sure to go early, aim to arrive around 10am – it gets busy and hot by mid-day! 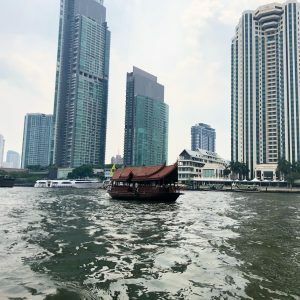 Head for a ‘Khlong’ (canal) Tour – travel in a private long-tail boat for 1.5-2 hours down the khlongs of the Chao Phraya River. Pick up a ticket at Saphan Taksin pier and barter to pay around 1500 baht. Buy drinks from a lady in her boat and arrange for the driver to stop and wait for you whilst you visit Wat Arun (Temple of Dawn). Go for dinner and drinks on Soi 11 in Sukhumvit. Gallery 11 restaurant is popular, and afterwards have a few drinks at the alternative bars. Bangkok is BIG on shopping. 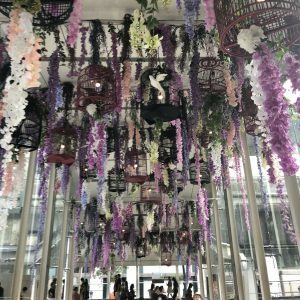 Catch the skytrain and spend half a day walking around the shops in the malls around Siam; Paragon and Central World are for serious shopping, and MBK is where you can find all of your fake hand-bags etc. Use the sky walk to walk between the malls. Make sure you eat in one of the food courts as well, just charge up your card at the info desk beforehand and eat beautiful cheap Thai food of all varieties until your heart (and stomach) is content! Dress up and go for a posh sunset cocktail at the Sirocco sky bar at the State Tower (it’s the one that featured in the ‘Hangover’ movie) or at the Vertigo sky bar at the Banyan Tree Hotel. 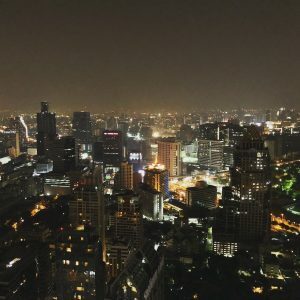 Both offer great views of the Bangkok cityscape, but the drinks in Vertigo are much more reasonable. Be sure to follow the dress code – smart and no shorts or trainers. Head to the ‘Asiatique’ night market on Charoenkrung Road. The easiest way to get there is by catching the free Asisatique shuttle boat from Saphan Taksin Pier from 5pm. A great place to shop for souvenirs, have a beer and get something to eat. Embrace the Thai obsession with Muay Thai boxing! 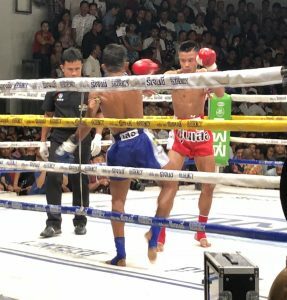 There are fights at Lumpini Stadium (Tuesdays, Fridays and Saturdays) or Ratchodamnoen Stadium (Mondays, Wednesdays, Thursdays and Sundays). However the real hidden gem is the free entry Sunday matinee at the channel 7 TV studio, broadcast live on Thai TV. Arrive around 2pm and you’ll get to stand amongst the locals while they shout, jostle and bet amongst each other – a true authentic experience! If you’d like it a bit less wild then arrive a little earlier and you will be sat in the seated area specifically designated for foreign visitors. Travel by river taxi (orange flag express boat) as an alternative to the road! 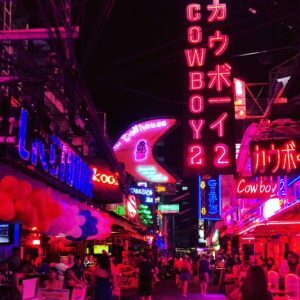 Head to Chinatown and explore the hectic street markets and do some great people watching and shopping at the markets on Khao San Road (back-packer area). Banglumpoo, the old quarter where Khao San Road is situated, is worth wandering around too. 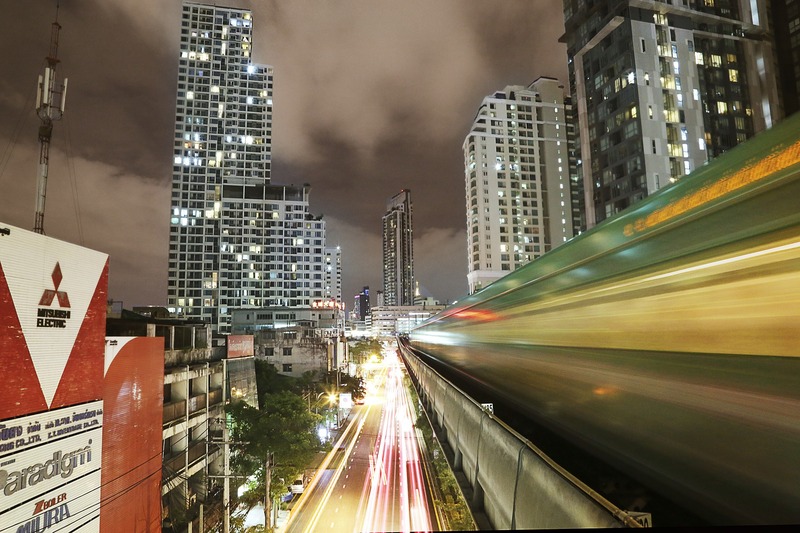 Take the skytrain to Sala Daeng and visit Patpong Night market. Wander through the market, stop for a drink and if you’re brave visit a ‘Ping Pong’ show. Be savvy – confirm the price before you agree to go inside and don’t flash your cash around or it will magically disappear!